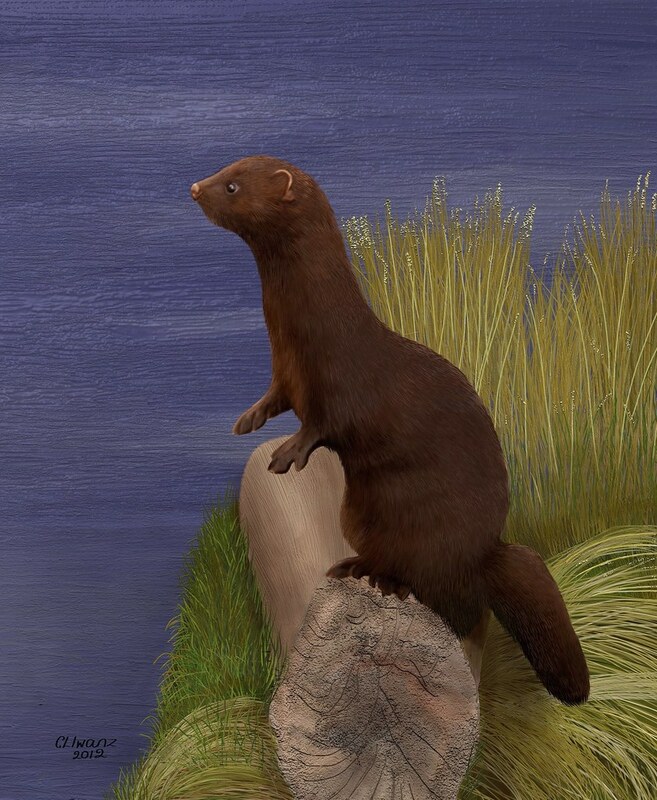 Mink from a photo taken with permission of a friend Hugh Smith. beautifully done Sapphire. quite wonderful painting. it could benefit hugely from a crop to enhance the focal points and balance the negative areas. see what you think. Last edited by screenpainter; 02-19-2012 at 02:17 PM. Thank you screenpainter for your imput. 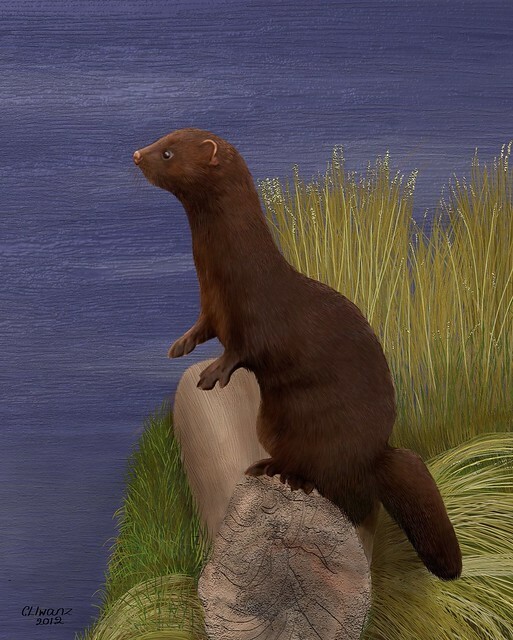 The original painting is done 2048 x 2048, the Mink and the log are the only thing I copied from the photo the water and reeds were done to fill the empty space. The 8x10 crop is to make for easier printing onto canvas. I see where you are coming from about the empty space, your crop is great apart from cutting off the tip of the tail. Very nice indeed Saphire, I just love your animal paintings they are an inspiration to us all. Thank you so much for your nice comment Geoff. Your paintings are always spectacular! Stunning work Saphire , great detailed and texture. Love it!